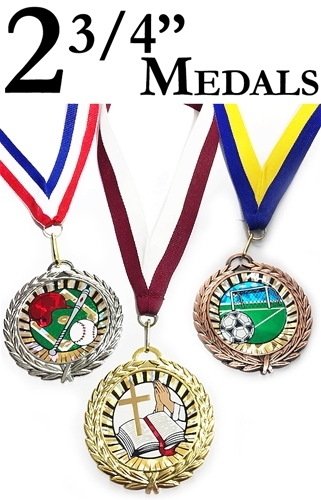 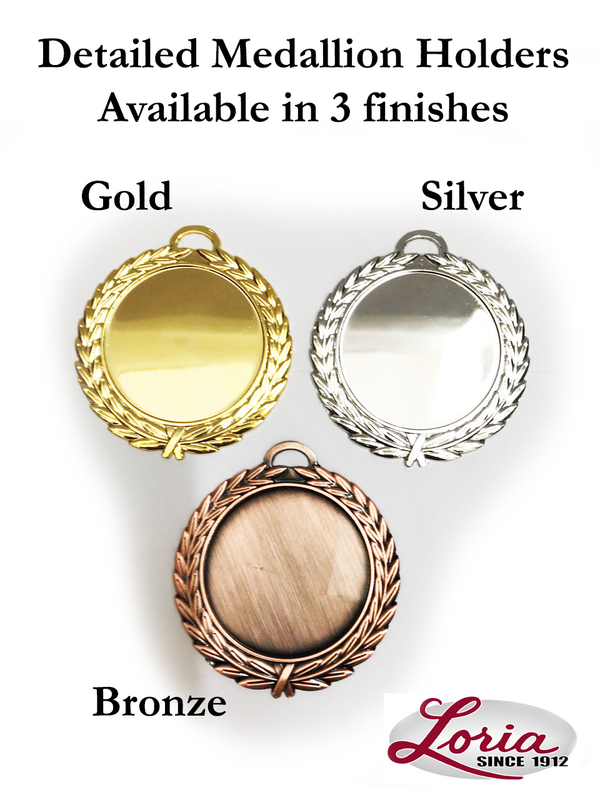 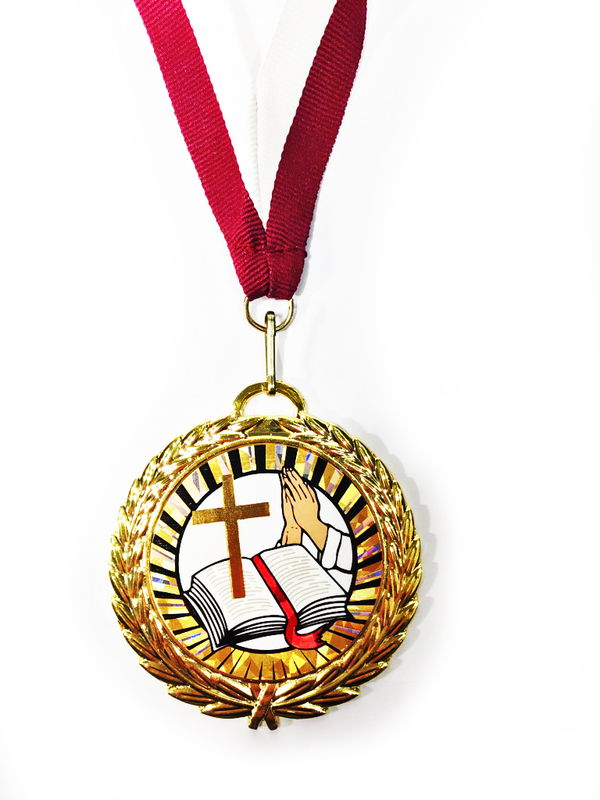 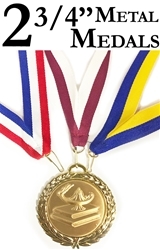 Highly detailed cast medals Available in Gold, Silver & Bronze finishes. 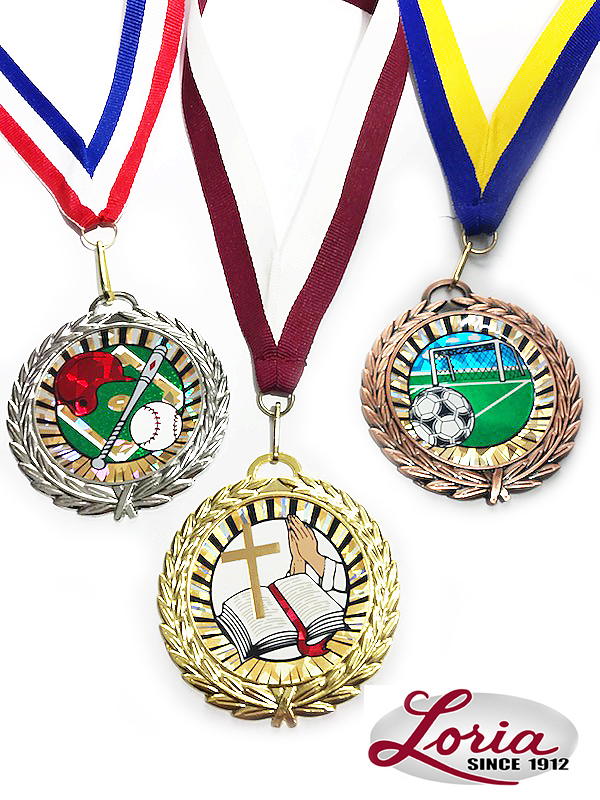 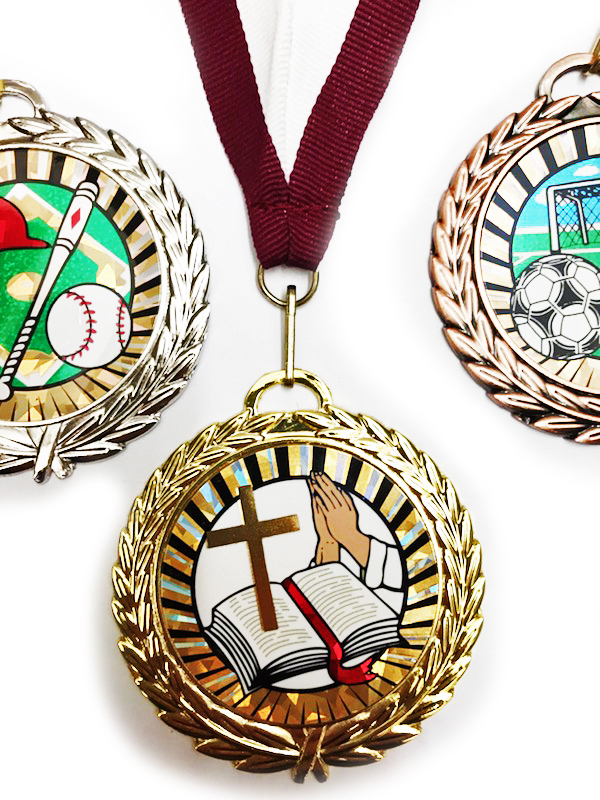 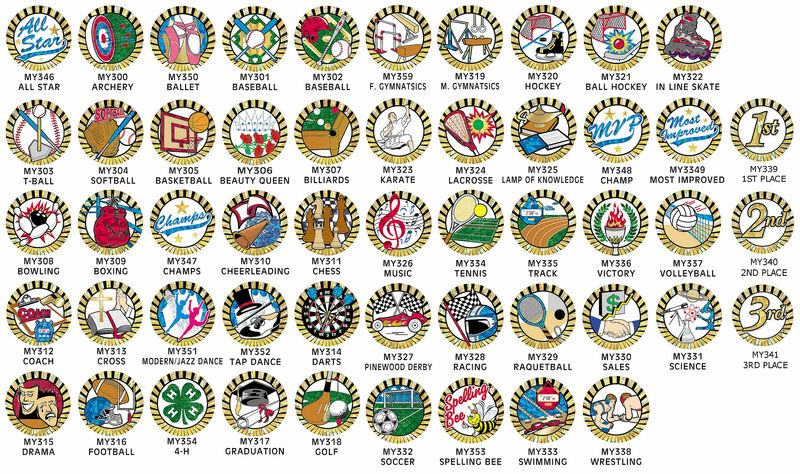 Choose from over 50 Colorful subjects in center of medal. 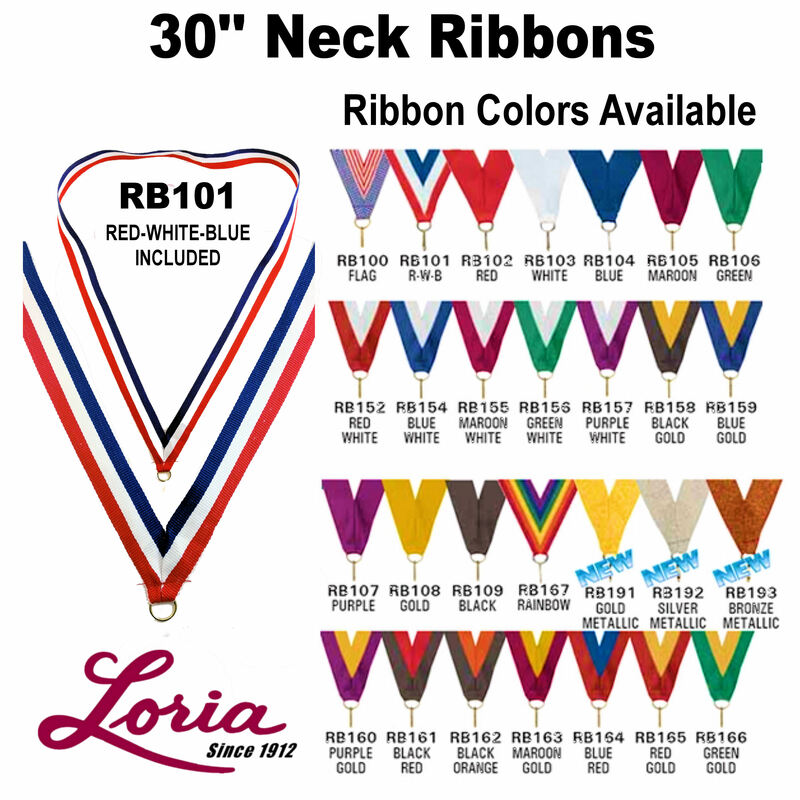 26 additional ribbon colors available at a slightly higher cost. 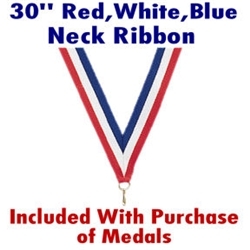 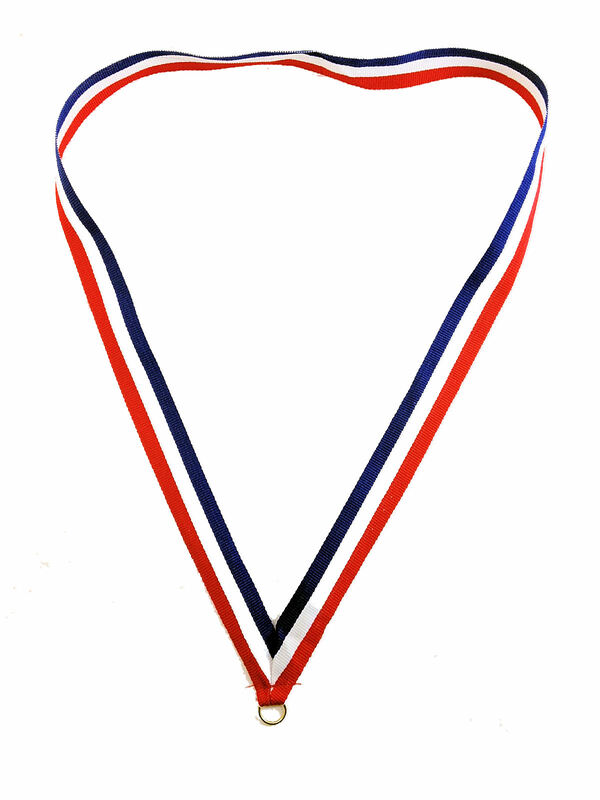 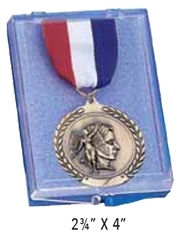 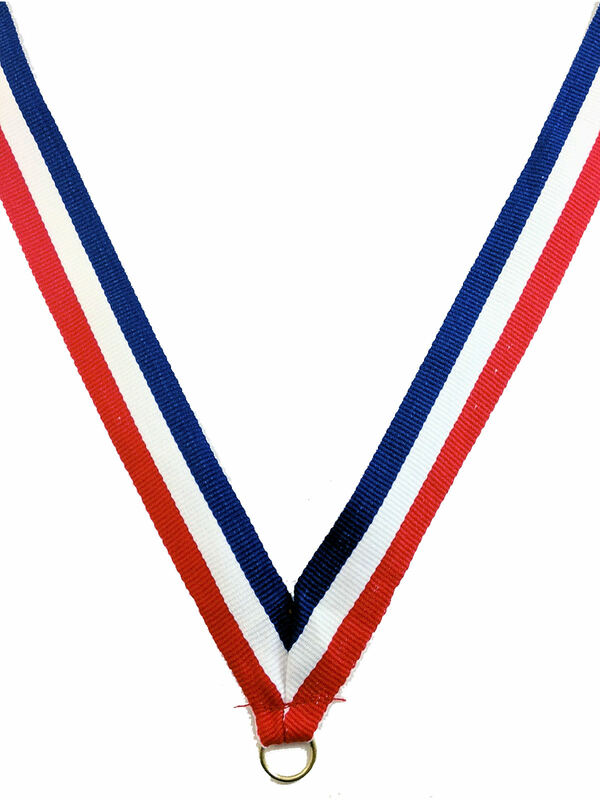 Medals are shipped with Neck Ribbon attached. 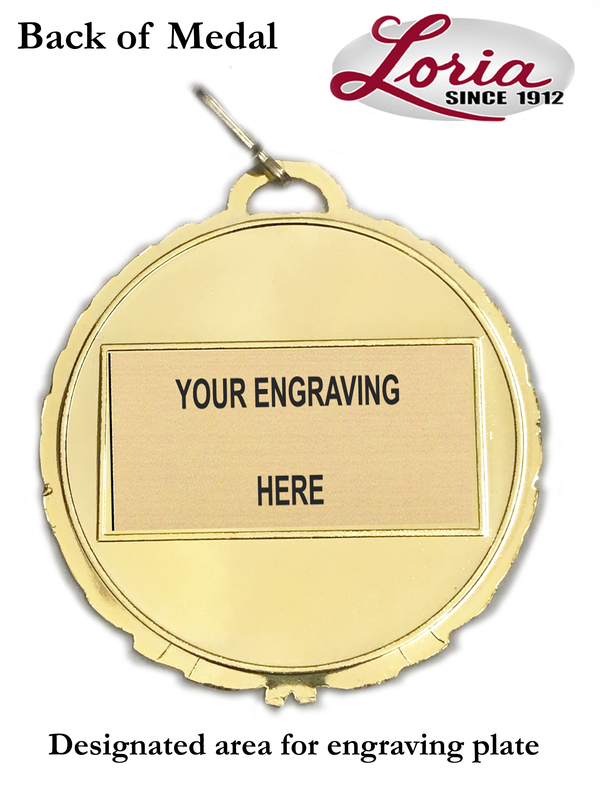 Engraving Plate available and mounted back of medal with your text.